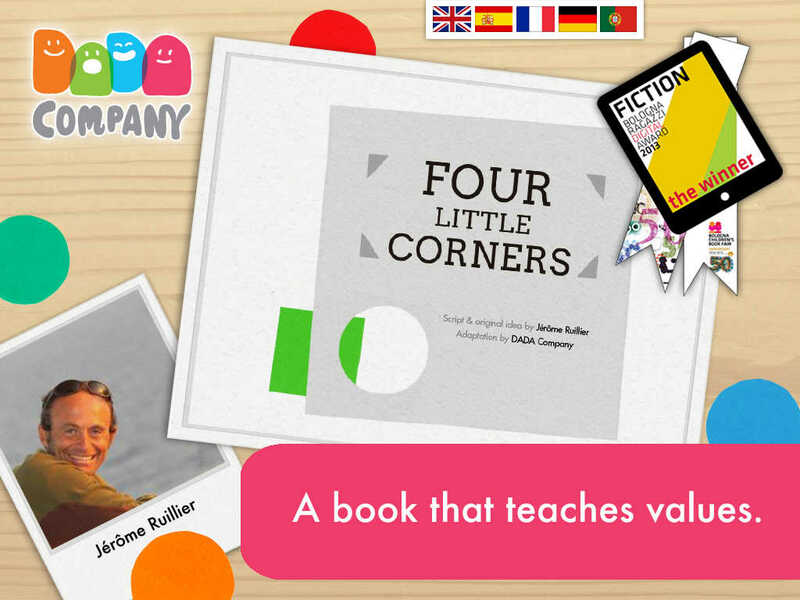 An interactive story that teaches values such as friendship, integration and equality through geometric forms that arouse sympathy and emotion. Ideal to start a conversation about equality with children. 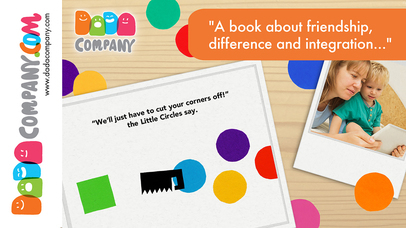 The main character is a small square, Little Square, whose friends are all small circles, the Little Circles. They are all playing together, but when it is time to go into the house, Little Square cannot go in with his friends because the door is round. They all try to solve the problem, but will they succeed? 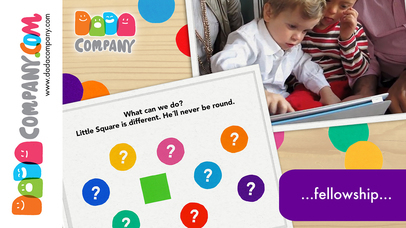 Will Little Square’s friends help him? 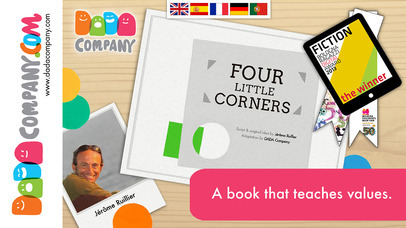 An interactive adaptation of Jerôme Ruillier’s story: “Four Little Corners”. The narration, comprised of simple and short phrases, makes it an ideal book for young readers who are just starting to read for themselves. Simple shapes are used to express values such as friendship, participation, comradeship, equality and social integration. Children learn in a fun way. • Enhances the child’s creativity and attention span. • Enables the child to share experiences with his or her family through quality entertainment. 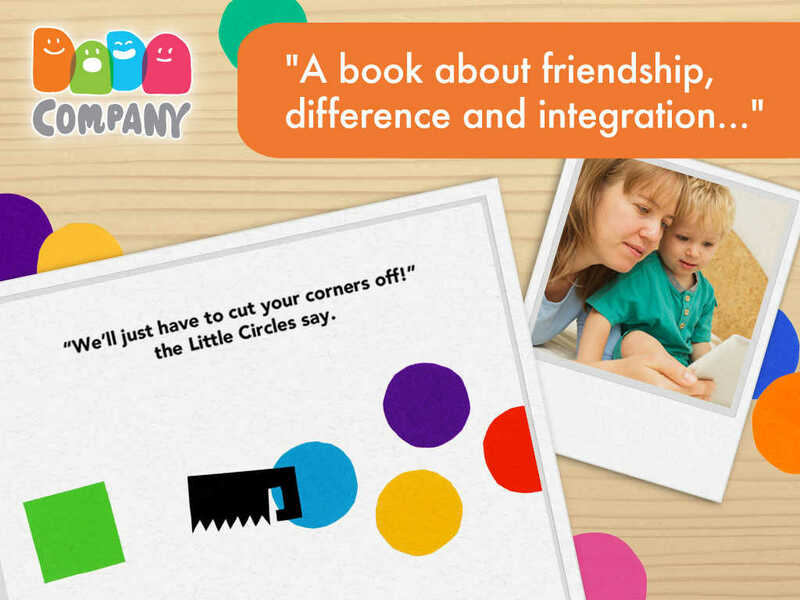 • Encourages learning and stimulates the child’s narrative skills. • Transmits universal educational values (tolerance, equality, solidarity, etc.) in a fun way. 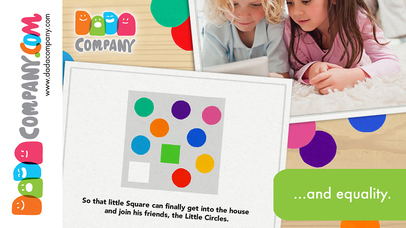 • The child touches the screen to see the characters having fun and interacting. • Teaches colors and simple shapes. 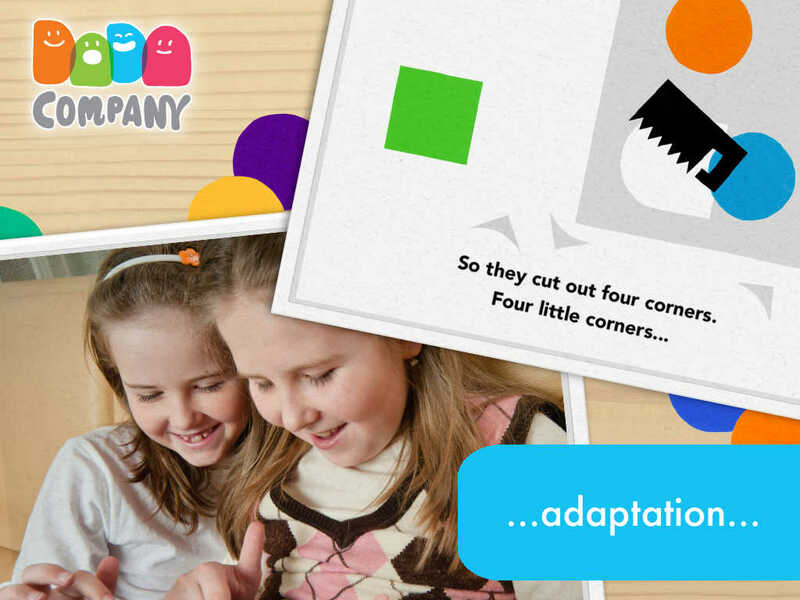 Dada Company is an award-winning studio that creates interactive books and digital toys for children and adults to enjoy together. We offer quality entertainment designed to educate and entertain, and to parents we offer the satisfaction of providing their children an edifying learning experience. 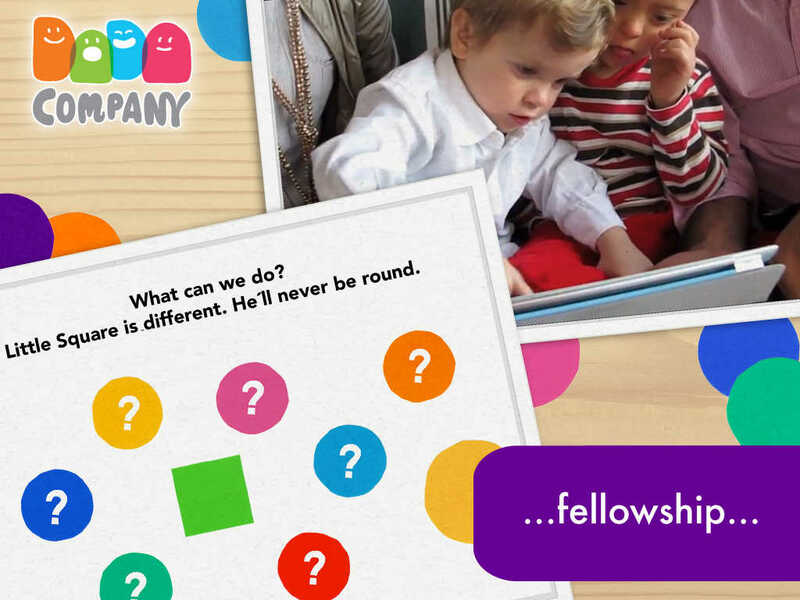 We work with educators and education experts to make our products child friendly. Visit our webpage at www.dadacompany.com where you can find more information and assistance. Follow us on Twitter at @DADA_Company or Facebook at http://www.facebook.com/DADACompany for more information about all our latest news. 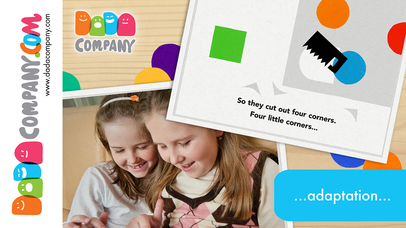 DADA Company takes children’s privacy very seriously, and we want you to have a safe experience. That’s why our apps do not include third-party advertising or in-app purchases. If you have any trouble with our app or any other questions or suggestions, feel free to contact us at any time at support@dadacompany.com. We will be happy to help you. Don’t forget to mention the version of your device and your operating system. Let's go to the Opera!